Apple on Thursday rolled out an updated version of its iCloud web client to all users, with Calendar, Notes, Reminders and Find my iPhone all losing the "beta" tag. 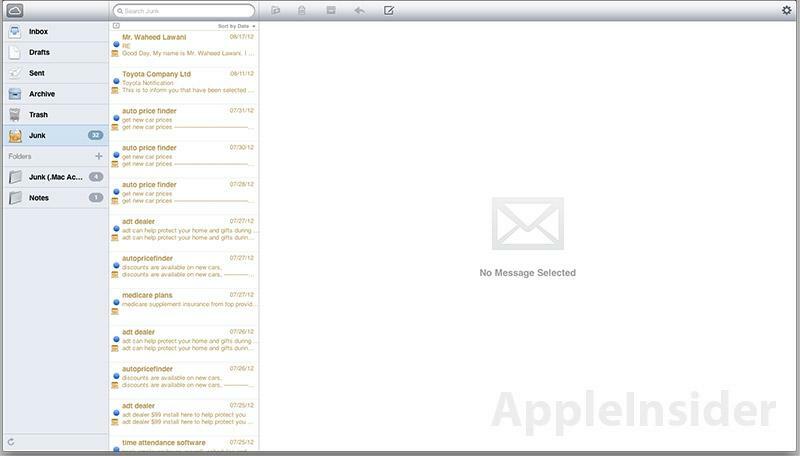 Previously, the site was available as a beta product, however it appears Apple has officially launched the iCloud web client for all users. 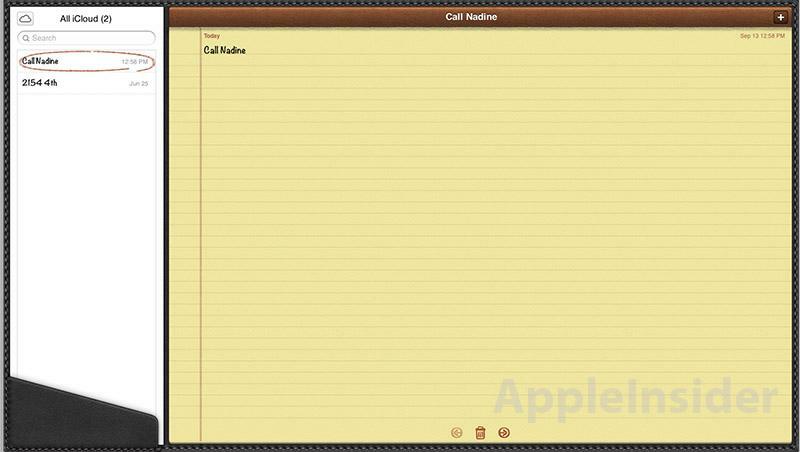 Featuring the same textured fabric background seen in iOS, the web portal has options for Mail, Contacts, Calendar, Notes, Reminders, Find My iPhone and iWork. 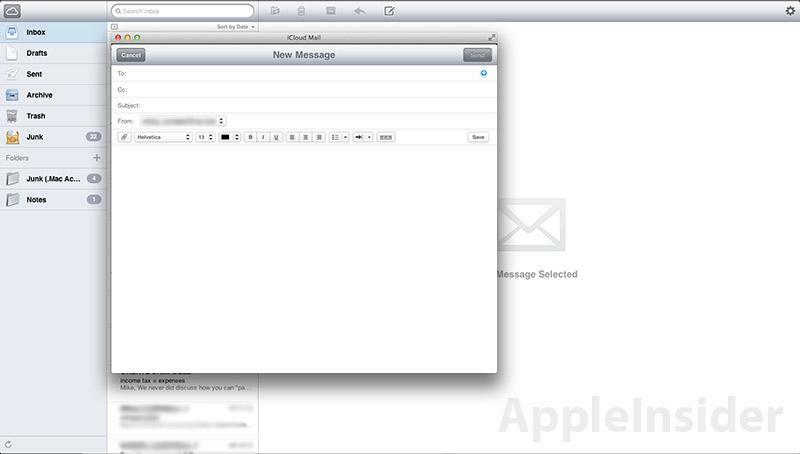 Mail brings up a web-based version of its OS X counterpart, borrowing many of the desktop client's visual cues including the familiar columned layout. Creating a new message brings up a pop-up window while folder creation and message sorting is allowed. 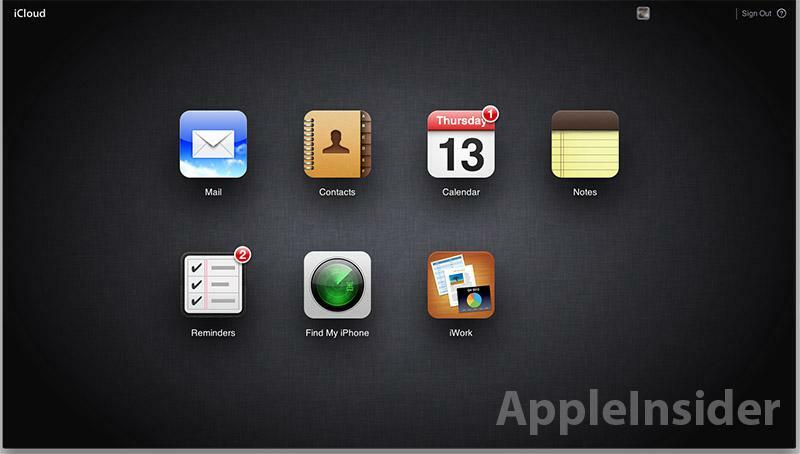 It was reported in May that Apple was working to integrate iCloud Notes and Reminders with iCloud.com. The finalized version is basically an enlarged representation of what an iOS user would see on their iDevice, down to the skeuomorphic leather stitching and torn off pages in the Notes web app. 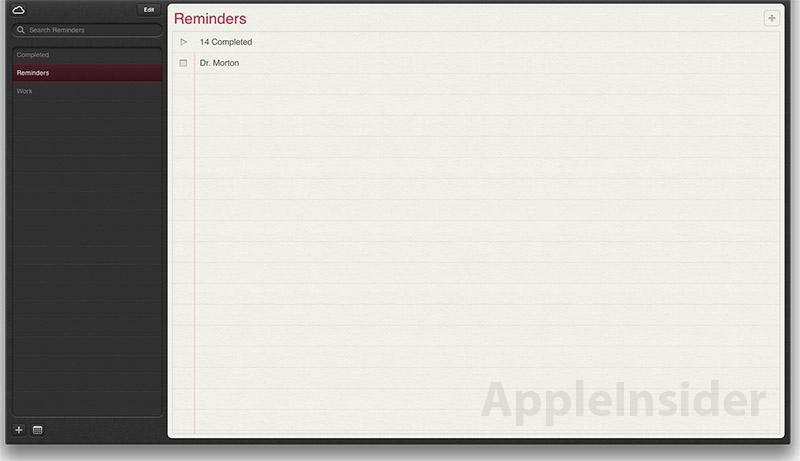 Reminders gets the same design treatment as Notes, and allows for the dynamic "checking off" of to-dos. 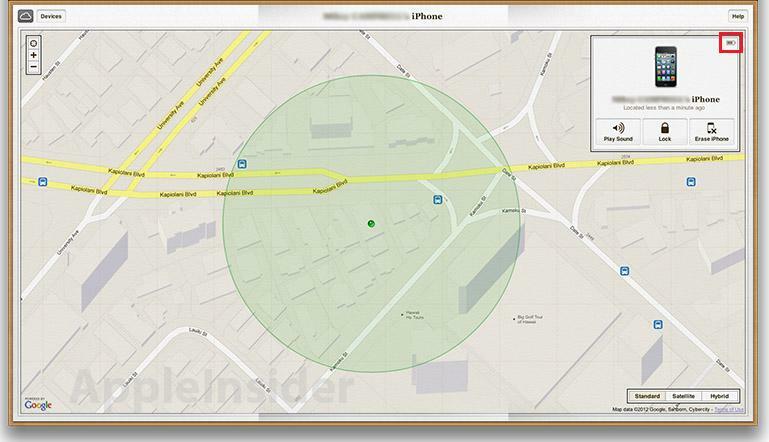 It seems Apple will continue to use Google Maps for Find My iPhone, at least until iOS 6 rolls out with the company's first-party mapping app, and not much is changed from the mobile version. Users can have their iDevice play a sound if they have misplaced it. Also included is a battery indicator in the top right corner of the device's information window. The new "Lost Mode" function that locks the device remotely and will track it every time it moves, has not yet been activated, however there are manual buttons to do a remote lock and data wipe. Note the battery indicator in the top right corner of the device information window.